Her dream is to compete in showjumping at an international level, and eventually breed her own line of champion horses. Now, working full time with Vicki, she’s taken a hugely significant step towards those goals. 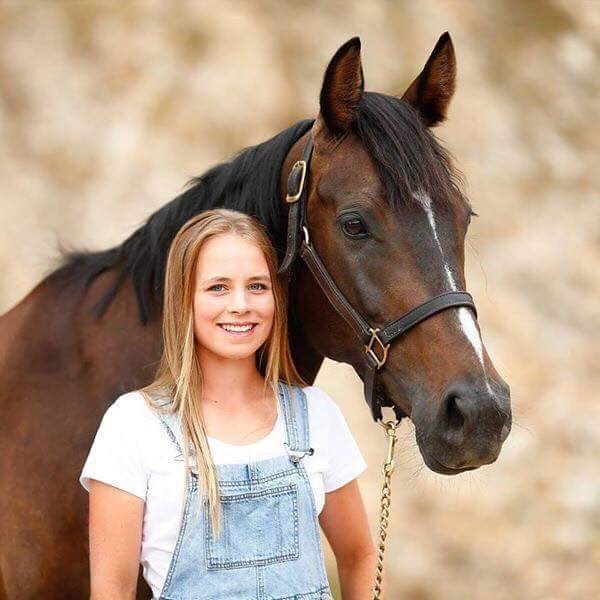 Olivia Murphy has now packed her bags and left her family home in Te Anau, in the deep south of New Zealand, and has moved to the far north to work full-time in Vicki’s stables. Her dream is to compete in showjumping at an international level, and eventually breed her own line of champion horses. Now, working full time with Vicki, she’s taken a hugely significant step towards those goals. She first met Vicki when she attended one of her camps in the South Island. Olivia caught Vicki’s attention with her exceptional equestrian skills, her commitment to following her dreams, and her desire to improve across all levels of horsemanship and Vicki knew that Olivia’s work ethic would see her fulfil her goals. Olivia is no stranger to hard work, having helped out at her family’s Italian restaurant (Ristorante Pizzeria Paradiso Da Toni) in the remote township of Te Anau. It’s a breathtakingly beautiful area in the Milford Sounds, a regular route for tourists who marvel at the sheer cliffs and deep waters of the fjords. Olivia is now in the equally beautiful area of northland, but again, there’s no time to gaze at the scenery! She brought two of her own horses north with her and whenever she gets some free time, she’s busy schooling them, with Vicki’s help, to improve both her own and their skills and move them up the competition ladder. At the recent Waitemata World Cup Show in Auckland, Olivia placed second on her own horse – a great start to 2018, and Olivia is looking forward to more of the same over the rest of the summer.